President Street, the Melbourne-based pop fusion collective with a sound you can’t quite put your finger on, is building. And building fast. You know, like acts used to. 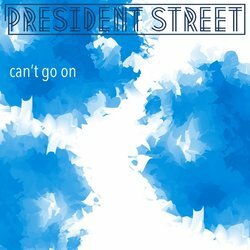 March 18th will then see President Street take to the road as they embark on their first national UK tour. With nearly 100 stations in the UK already on board the President Street train – a similar number also in the US – the next target is to smash the 100,000+ views of their last track, ‘Need You Now’, not bad for a new independent band. And the press following is almost as strong with everyone from The Sunday Express to the Big Issue on board, not surprising seeing as they teamed up with the charity Breaking Borders with their single ‘Back Home’ to get the message across that young people need somewhere to call their own. The current line-up of the moveable feast is headed up by the Pete Moses, a man who struggled with tragedy, having lost both his parents at a very young age, and used it creatively to come up with work with a depth that belies its simplicity. As you will hear in ‘Can’t Go On’. Can't Go On is a song about lost love. With lyrics we can all relate to ‘this feeling of loneliness/it chills me to my core’ it started as a simple acoustic guitar track that grew wings as layers of vocals and synth hooks were laid over it. Elegant and with a mighty hook, it’s no wonder the buzz is building.